The Duke and Duchess of Sussex have landed Down Under for their two-week tour of Australia, New Zealand, Tonga, and Fiji. 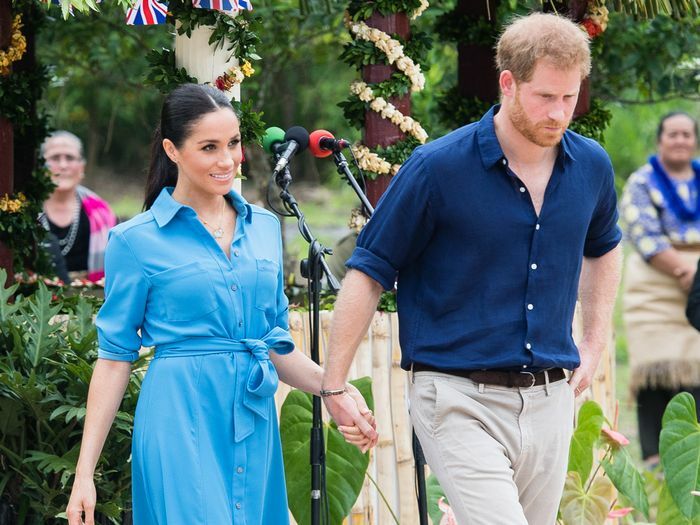 Not only does this mark their first international tour, but it's also Meghan Markle's debut event since Kensington Palace confirmed that she and Prince Harry are expecting their first child together. We already learned that the new baby will be arriving in spring 2019, and we can't wait to uncover more details about the mini royal. In the meantime, we'll be reveling in all of Markle's sure-to-be-amazing looks on her tour, including the J.Crew ankle boots she wore with a blazer designed by her multitalented friend Serena Williams. On the first day of the tour, she wore Australian designer Karen Gee's Blessed Dress ($1285), so we're expecting Markle to include plenty more Aussie brands in her repertoire this month. As for the price of her wardrobe during her tour, we crunched the numbers, and all of her items came up to a grand total $54,830 (so far), not including some custom pieces and priceless jewelry. That number includes every single item listed below, as well as all the pieces in our New Zealand outfits story. The most affordable piece of the tour was her Banana Republic Madison Pumps ($65), and one of the most expensive items was her pair of Birks Snowflake Earrings ($12,000). Other budget-friendly buys included her Reformation Pineapple Dress ($218) and Castañer Carina Espadrilles ($120). 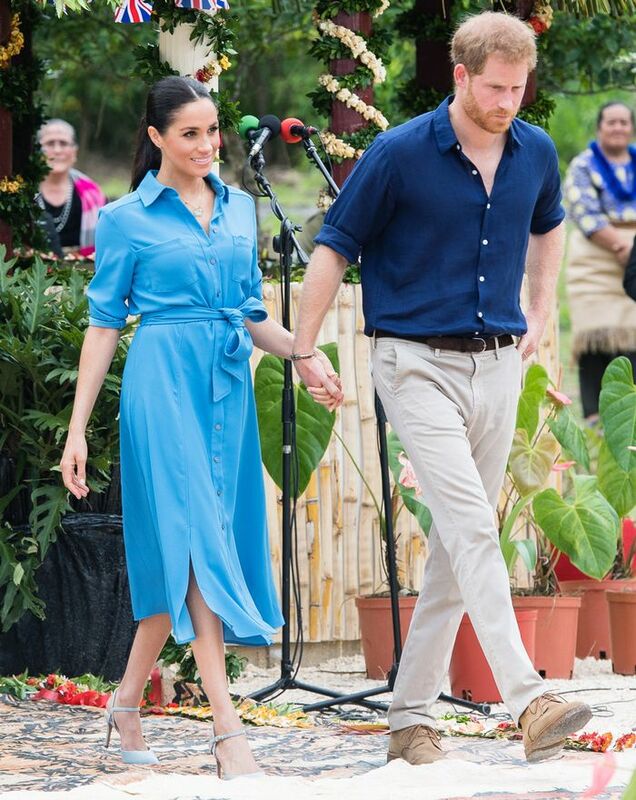 Scroll down to see every single outfit from her tour of Australia, Fiji, and Tonga, and then continue the fun with Markle's New Zealand outfits. On Meghan Markle: L'Agence Blazer ($595, sold out); Oroton Bag ($221). Next up, this is the only boot trend that matters, according to Anna Wintour.